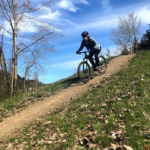 The West Coast Women’s Cycling team are teaming up with the NW Trail Sisters for an awesome spring into Spring ride at Sandy Ridge. We’ve missed the trails up at Sandy and (hopefully) they’ll be free of this pesky snow by mid-April. This ride is open to women/trans*/femme and gender NC folk. There will be at least two groups heading out. One for beginner to intermediate riders and one for strong intermediate to advanced. Depending on skill levels and desires, the groups may split into smaller rides from there. We ask that you evaluate your skill level in an honest manner to ensure your safety and the safety of the group. Please take a look at our Skill Level assessment page, figure out where you’re at and then register via Eventbrite Link below. Meet West Coast Women’s Cycling: West Coast Women’s Cycling (WCWC) is a casually competitive, fiercely ambitious bike team for women. Originally founded in 2011 as an elite road racing team, WCWC has embraced the dirt and evolved into a community of women who support each other in pursuing their goals across many disciplines. From rock gardens to the road, we ride together and challenge each other to be strong and go far. 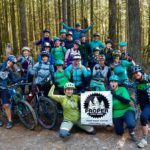 Meet the NW Trail Sisters: We are women, trans*, femme & gender NC members of the Northwest Trail Alliance. 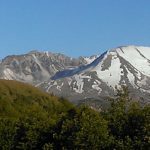 We support each other to build our skills and our confidence, both on the trail and off, and we are committed to providing a welcoming space to further these goals.